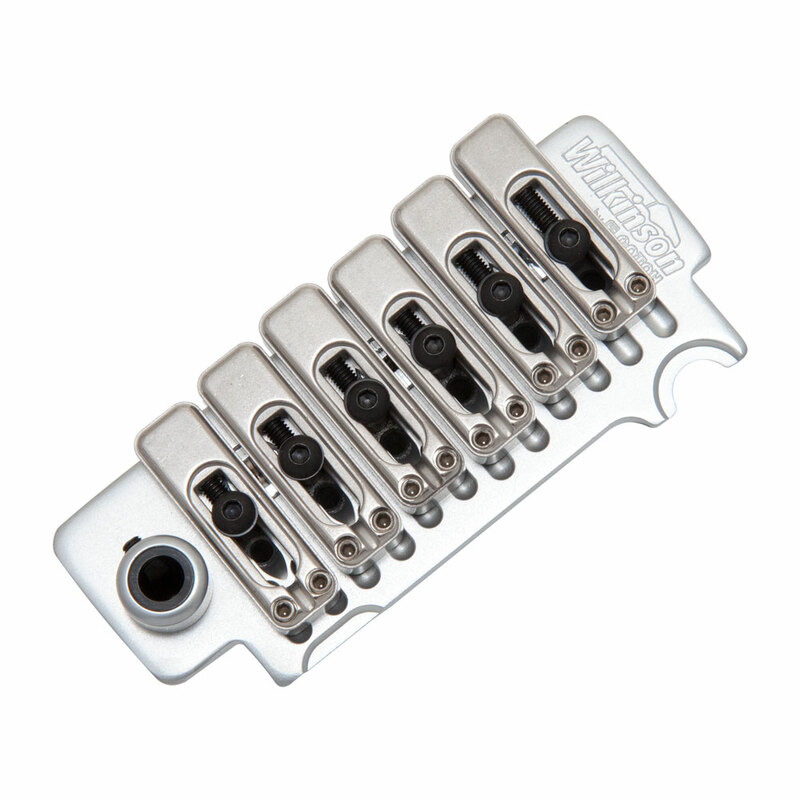 The Wilkinson VS100N Tremolo System is made by Gotoh in Japan using their advanced technology and high quality manufacturing. Featuring their unique saddle design, the six individual saddles are intonatable and height adjustable and secure to the base plate with the lock down hex screw. The height adjustment screws fit in to slots in the baseplate which stop sideways movement of the saddles. The bridge posts can be locked in to their body anchors to give the most transmission of sound to the body. The tension holding the tremolo arm can be adjusted via a set screw in the bridge.